There are so many things I love about autumn. The time I’m getting home from work, change into my comfy pyjamas, put on a movie and spend the rest of the day with my loved ones is priceless. You know, it’s the cozy season, that time when spending the day in your kitchen, warmed by a busy oven is most satisfying. The slowing down that happens in the fall always gives me a whole new set of things to be inspired by – the fashion, the seasonal traditions and celebrations. So much love for it! And as this new season is just around the corner, I decided to show you the first autumn outfit inspiration for which I’ve teamed up with Windsor today. 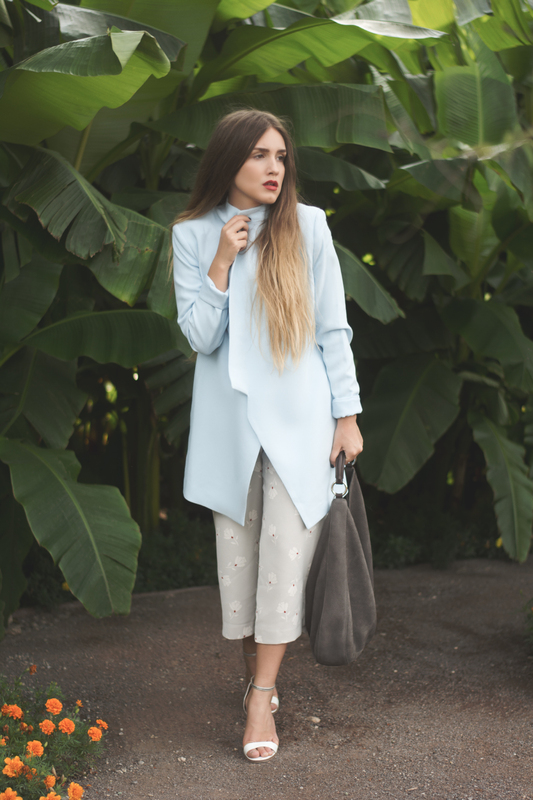 They asked me to pick my favourite item of the SS15 collection and combine it my way. First I thought about a beige trench coat and dark skinny jeans. But also about a cozy sweater, boyfriend jeans and some sneakers. 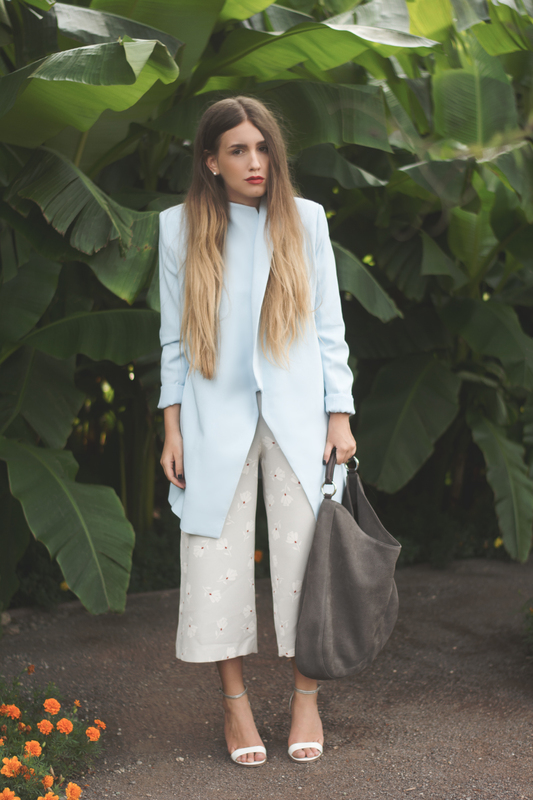 In the end I went for this pastel coloured look consisting of a pair of culotte and a light blue blazer. I’m totally in love with the diversity of this bag. 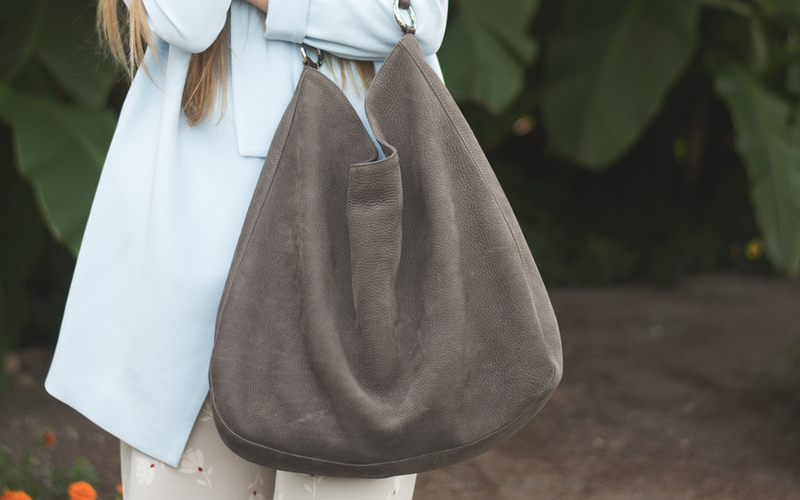 There are so many different ways you can style it and I think, that’s almost the most important thing you have to consider when you’re about to buy a new bag. Ich finde ja, dass dir das Blau des Mantels unheimlich gut steht! Die Tasche ist wirklich wunderschön. Gefällt mir richtig gut. schöner look :) die tasche würde ich mir sofort kaufen!